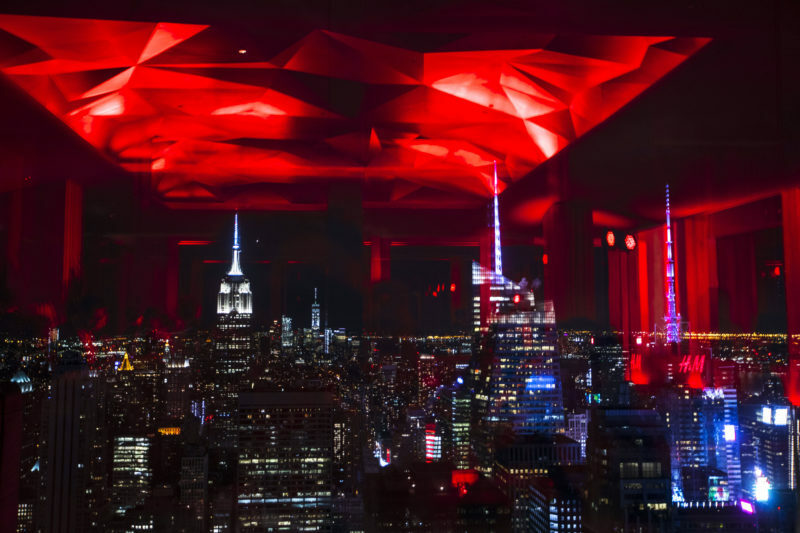 Even the spires of New York City’s iconic skyline sported the brand’s signature red. 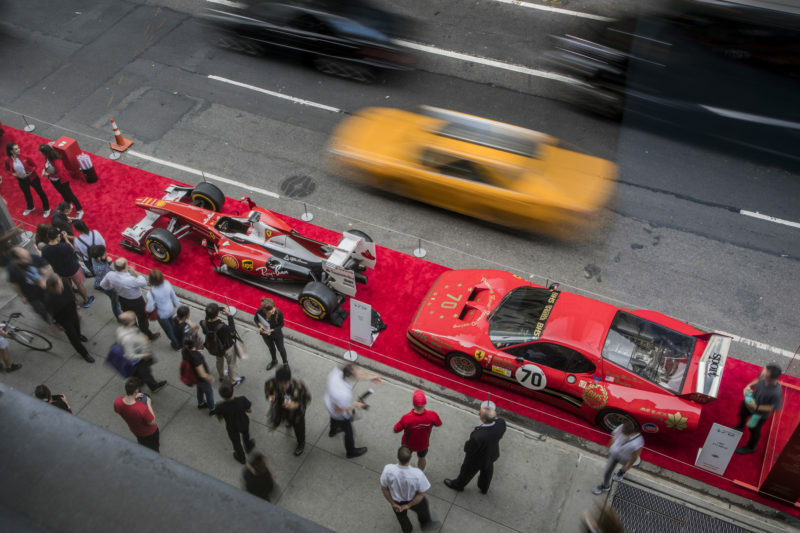 To cap off a world-wide celebration in over 60 countries, Ferrari unveiled a public exhibition in New York City over Columbus Day weekend to celebrate its 70th anniversary with fans, clients and collectors alike. 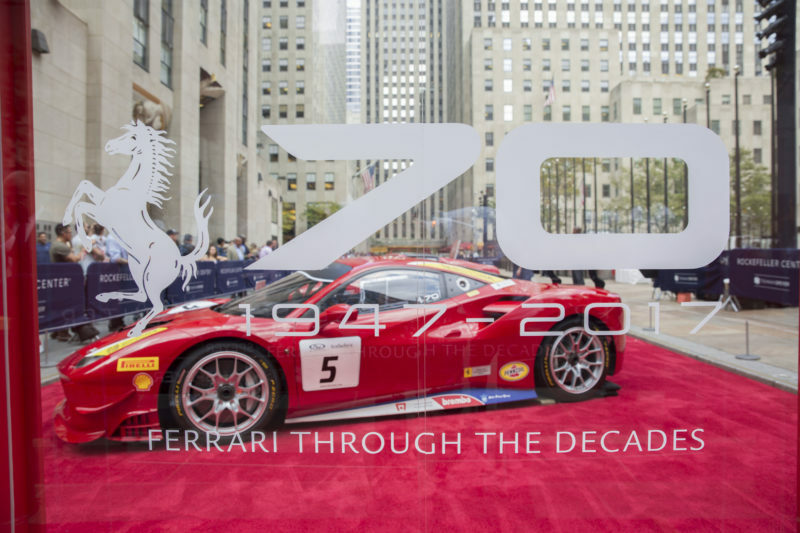 Iconic classics were on display, as well as notable examples of contemporary models. 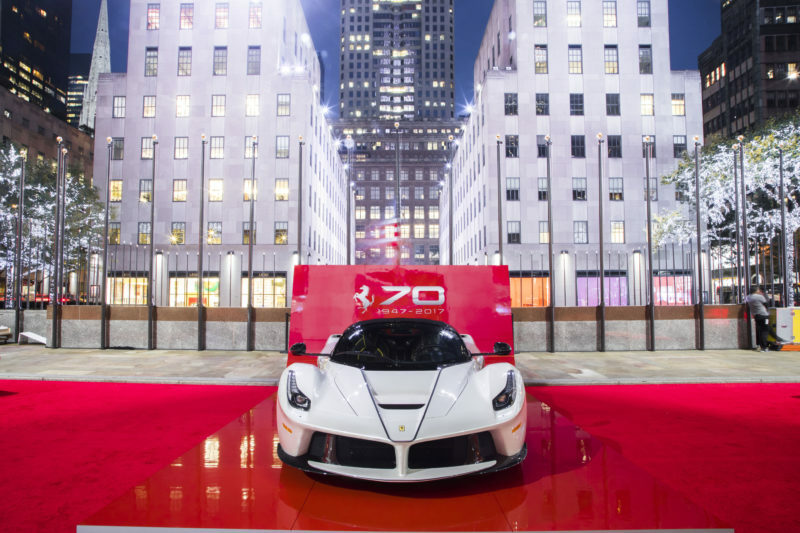 At Rockefeller Plaza, Ferrari fans were treated to an open-air exhibition displaying one extraordinary car per decade, as well as the limited edition LaFerrari Aperta and Michael Schumacher’s Grand-Prix winning F2001. 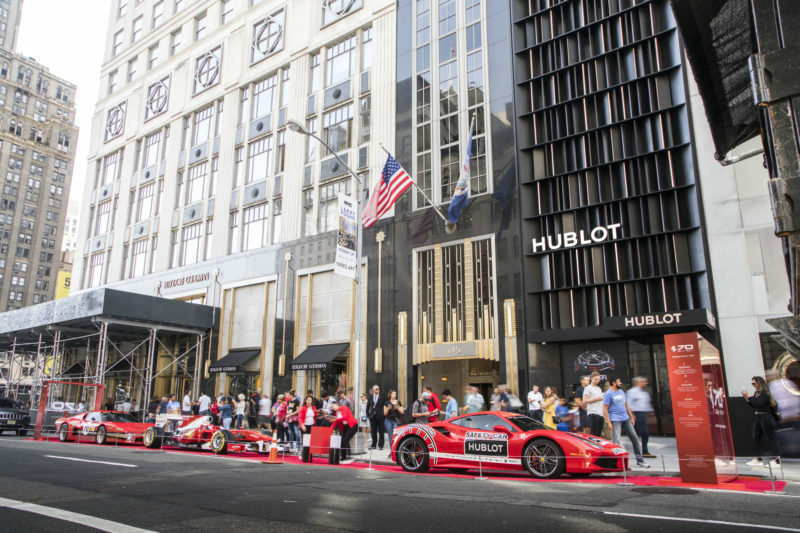 In front of the Hublot Flagship Store on Fifth Avenue, a store-front exhibition of iconic racing cars, past and present delighted crowds. 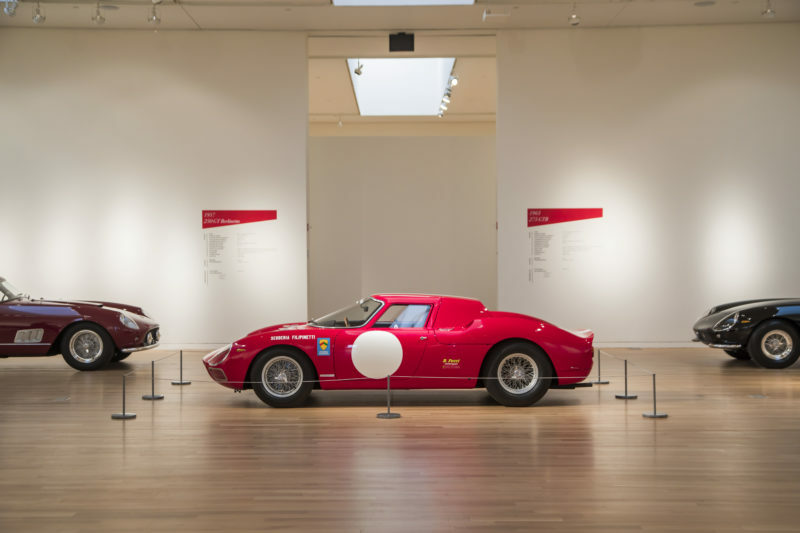 Supercars and priceless models, such as the 250 LM, from across the decades showcased Ferrari’s iconic status at RM Sotheby’s. 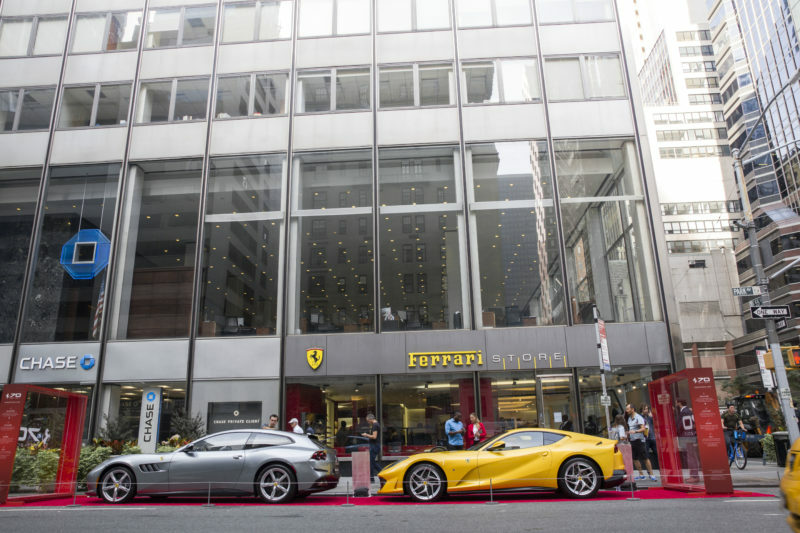 And at the Ferrari New York Showroom, front-engine V12s stole the spotlight. 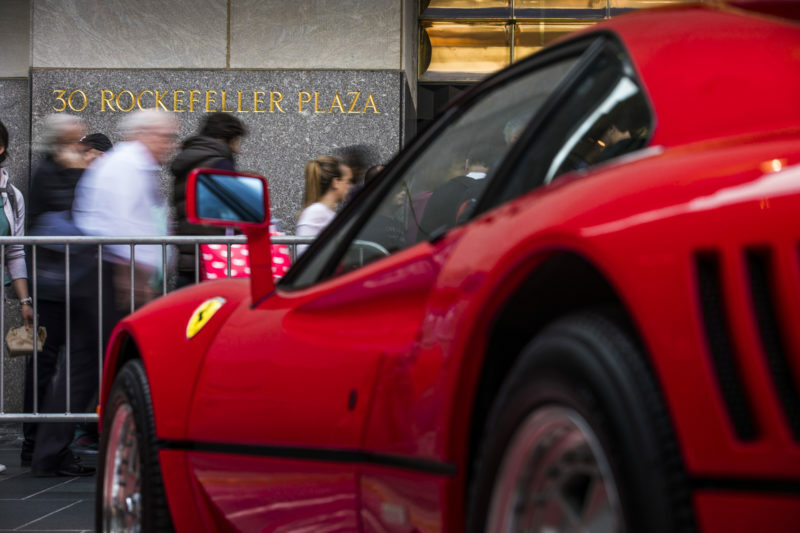 A champagne toast in Rockefeller Plaza closed the weekend exhibition on Sunday evening, where Ferrari commissioned celebrated street artist Mitchell Schoerr for a live performance that was later auctioned for charity to benefit Save the Children.